The pace of change in the book world may be accelerating, but Canada currently lags well behind the US, where – as the Globe’s Marina Strauss reported last week – e-book sales currently represent about 9% of total book sales. The figure for Canada is about 3% -- and in Quebec less than 1%. When NY publishing guru Mike Shatzkin was in Montreal last week (see April 5 post), he made a point of mentioning the opportunity he sees for Canada’s French-language e-book publishers in allowing them access to the global francophone market. Quebecers themselves are less excited. Archambault’s Jelis [I read] platform, which has more than 20,000 French-language titles available, has had some success with e-books priced in the $15-$23 range. An article by Jean-Marc Gilbert after the Salon du livre de Montréal last November, however, argued that the e-book is not appealing to Quebecers : Le livre numérique ne séduit pas les Québécois. Gilbert quotes blogger and E-PaperWorld founder Éric Le Ray as saying that one reason for Quebecers’ comparative lack of interest is that e-books are largely ignored by the media here. Philippe Sauvageau, president of the Salon international du livre de Québec, has told Le Devoir that “people are not ready to abandon the printed book.” He will be introducing the digital book to his Quebec City public this week “par la petite porte” or through the back door and without a lot of fuss. The Salon programme will include a 3 p.m. Friday panel organized by the publishers’ association ANEL on How Digitalization can Add Value to Quebec Literature. 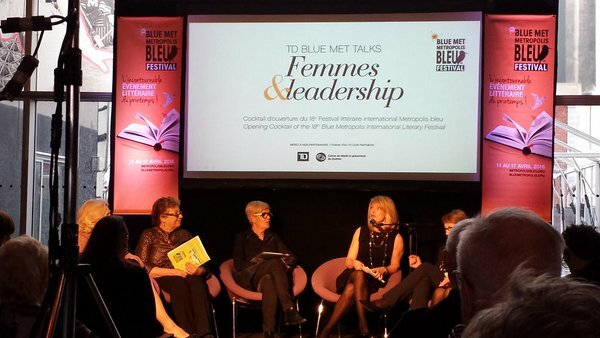 Participants include university press publisher Bianca Drapeau, Author Valérie Harvey, and independent bookseller Dominique Lemieux of www.livresquebecois.com.